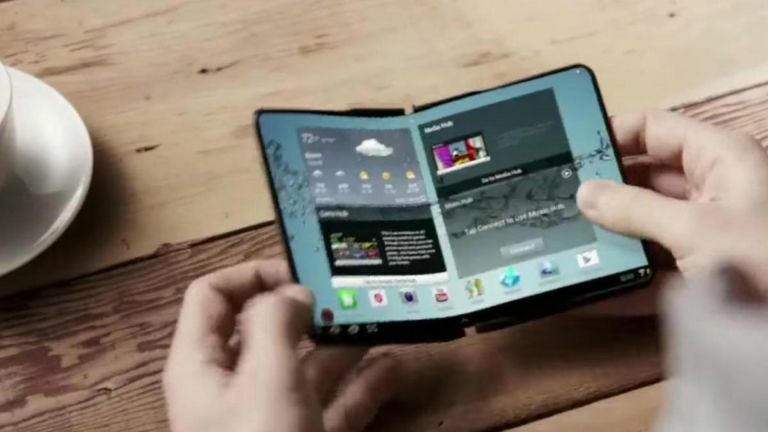 The Samsung Galaxy X was all set to become the world's first foldable smartphone and now it looks like Huawei is going to beat it to be first. On top of that Samsung may not even call it the Galaxy X but the Galaxy F. But, to complicate it even more, there will still be a Galaxy X. So what is the Galaxy X and what is the Galaxy F? The Samsung Galaxy F name, which this leakster revealed, actually makes more sense, because the phone is Foldable. According to one report, this phone will offer a 7.3-inch screen which can be folded 20,000 times and sits as slim as an iPhone 8. That should mean it folds out into a very thin device indeed, although that means you'll only get a year of use if you open and close it 55 times per day. So what is the Samsung Galaxy X? This is rumoured to be a gaming smartphone. Samsung did recently announce its new LPDDR5 RAM which could be ideal for power intensive gaming. On top of that, the company is said to be working on a new GPU too, one that is made for gaming. This is expected to be VR focused and could use a new 4K Infinity Display that would be perfect for the close range viewing required of a phone sat in a VR headset. While all that gaming focused tech could still appear in the Galaxy S10, perhaps it'll be saved, or enhanced, for a dedicated Galaxy F gaming smartphone.